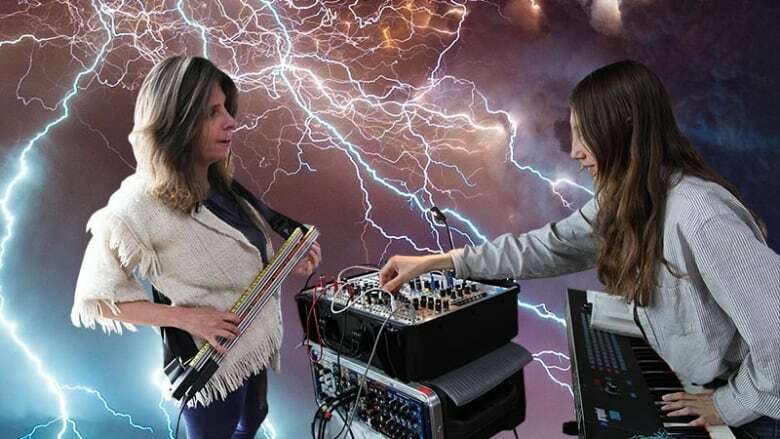 The Blow's Khaela Maricich and Melissa Dyne have launched a new website called WOMANPRODUCER, documenting the long and sometimes hidden history of female music producers. "There's a certain expectation that sound culture is dude culture," says The Blow's Khaela Maricich. Maricich and band mate Melissa Dyne are trying to change those expectations with their latest project, WOMANPRODUCER. A website that helps provide information on the many underexposed female and non-binary conforming pioneers of pop music, WOMANPRODUCER is building an encyclopedia of hidden figures in the world of music production. "Every time we've been able to find an example to the contrary, it's just really exciting and we want to take that person's name and let people see that that actually is out there — it just hasn't been as represented." Kate Bush, "Hounds of Love"
Ron Grainer and Delia Derbyshire, "Doctor Who Theme"